Timeout is a small exclusive art travel company established 2004 specialising in small group treks in the Scottish Highlands. 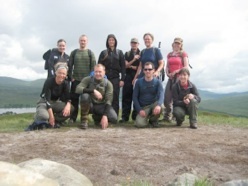 Max 12 Trekkers in a group. 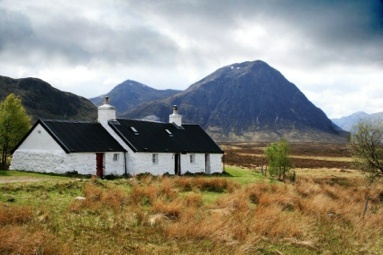 Timeout is for people who want to experience some of Scotland's most stunning nature in the beautiful Highlands. Its for people who would like to get close to the mountains without actually having to climb them, and just admire them from a distance. All of Timeouts treks take place at a moderate pace, fully respecting nature and the surroundings. 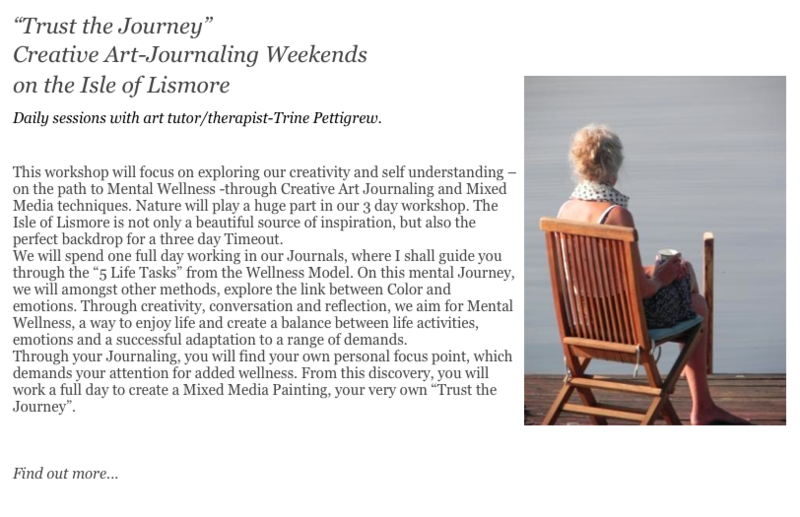 Time to reflect and be creative; those are some of the keywords for our journal tours and retreats. A good pair of walking legs, good boots and a positive attitude is all that is required. All our treks are in groups and guided by one of our experienced staff. d a fascination for Scottish culture. The coach trip to Crianlarich on the 1st day gives you a glimpse of the adventure that lies ahead, and the return trip from Fort William to Edinburgh gives you panoramic views of the landscape we have trekked through during our trek together. 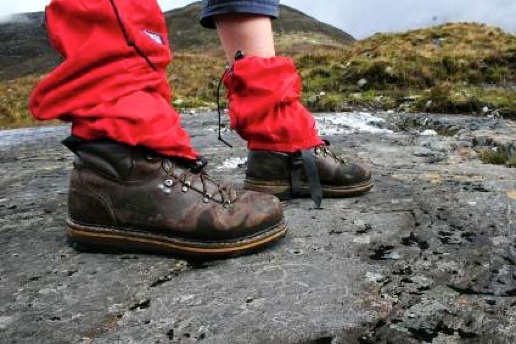 Footprints can be used as part or full payment against any of our treks. The perfect gift for a friend!